We offer exterior house detailing service Newmarket residents want. Shack Shine’s exterior house cleaning service in Newmarket makes your home look brand new. Our team is ready to help you to shine your home from the ground up. We know how important it is for you to have a clean home, but we know you value your time. That is why we offer a comprehensive house detailing service in Newmarket to help you have the stunning, clean home you desire. Your home will love you for the attention. Start with the windows. A key part of our Newmarket house detailing is shining those windows for you. Our team will use a carbon fiber, water-fed pole to scrub the exterior of the windows. We then hand detail the interiors, even scrubbing down those frames and screens. This service is available to you for any type of window including those skylights and out of the way windows. Happy home, happy family – having a crisp, clear view matters! The gutters on your home are one of the most important types of exterior house cleaning services we can offer to your Newmarket home. Our team uses a high powered vacuum to pull out all of the debris trapped there, and then we flush it clear. There are no ladders to balance on or fall from. But, the water will flow down and away from your home like it should – protecting your home’s exterior and your foundation. Gutter cleaning is a Newmarket house detailing project you can count on us for every season. The exterior of your home faces some of the most intense elements, leaving it dirty. Let Shack Shine improve that. Making your home smile means scrubbing away those years of buildup. We use a pressure washing system designed to create a like-new look to your home. Our technicians are trained to handle most types of surfaces. And, we never use harsh chemicals to damage your landscaping. It’s happiness in every detail! Another important Newmarket exterior house cleaning service available from Shack Shine can prolong the life of your roof. Roof cleaning happens with specialized pressure washing, with just enough cleaning power to pull off the mold and mildew growth on your rooftop. You don’t need to climb on your roof. 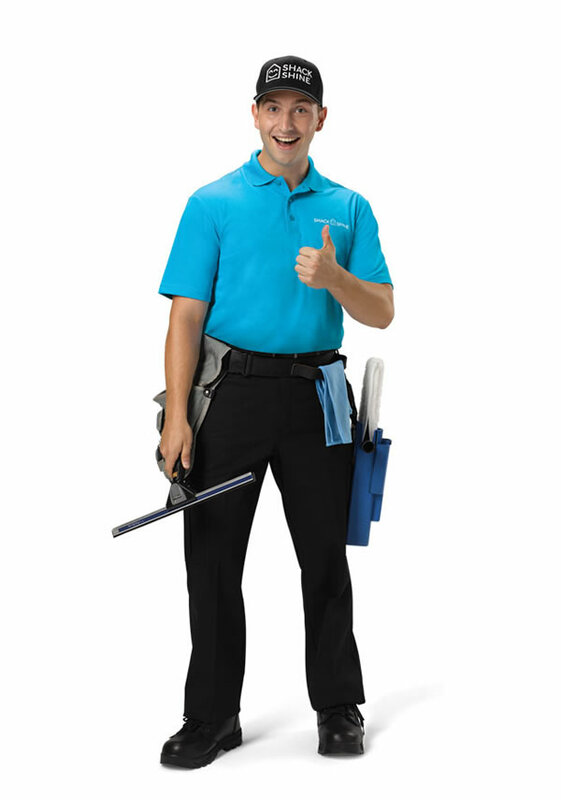 Let our trained technicians handle the roof cleaning for you with ease. Make the entire home look brand new with our Newmarket house detailing services. We can use pressure washing to clean most hard surfaces from the side of your home to the decking, driveway, and even the furniture. 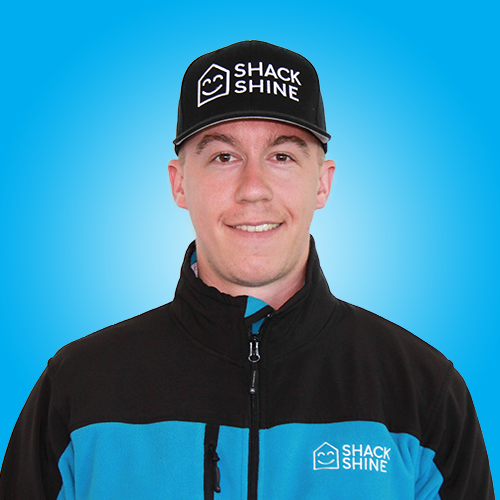 Shining your neighborhood, one home at a time, Shack Shine works with you to tackle the hardest jobs around your home with ease. You will love the finished look no matter which surfaces we scrub clean for you. Prolong the life of your patio or get the sidewalks clean with ease. Be ready to have the brightest home on the block this holiday season! Shack Shine Newmarket location offers a Christmas light installation service, making it easier for you to get ready for the holidays. We offer high-quality commercial grade Christmas lights that are energy efficient for your home. Everything is 100% customizable from the style to how it fits your roofline. To make it even more convenient for you, we’ll return to fix burnt out lights and do the takedown at the end of the season. Let us help you get into the holiday spirit and do the hard work for you, so you can sit back and enjoy once it is finished! We are happy to help you get started with holiday lights decoration. We are here to help with the process from start to finish! Hello, my name is Rich Watson and I am very excited to be running a business in your neighbourhood. I ran a summer painting business for two years while going to University and have worked for a large company in the transportation industry for the past three years. Having a taste of running my own business, I am looking forward to the opportunity of running a high-value home detailing business and growing it in your community for years to come.